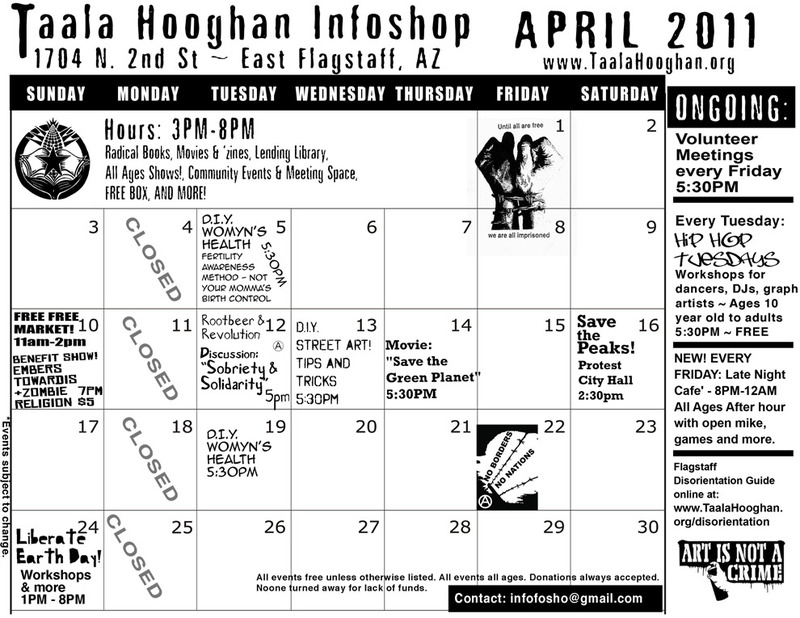 Everything from recycled leatherwork to silkscreening, linocut, and more! 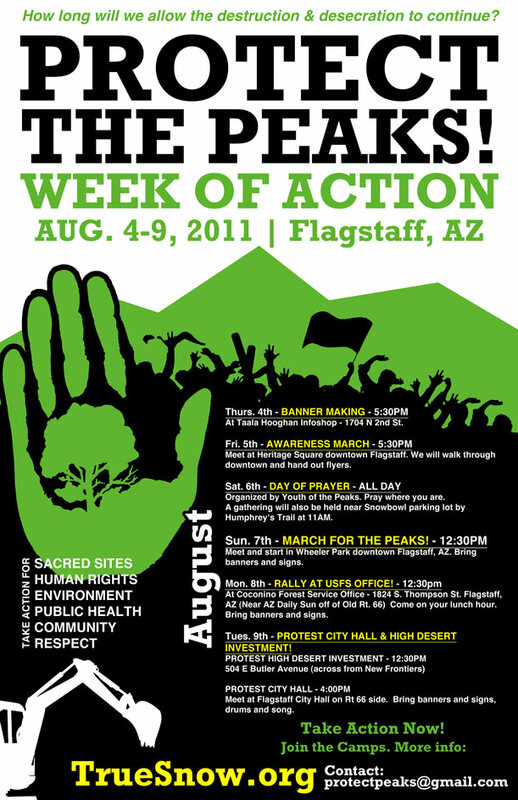 Fridays @ 5:30pm – Volunteer/Collective Meetings. Mandatory costume or Rhi Rhi gets to put a costume of her choice on you (or you have donate). Open to women, queer and trans identifying folks. 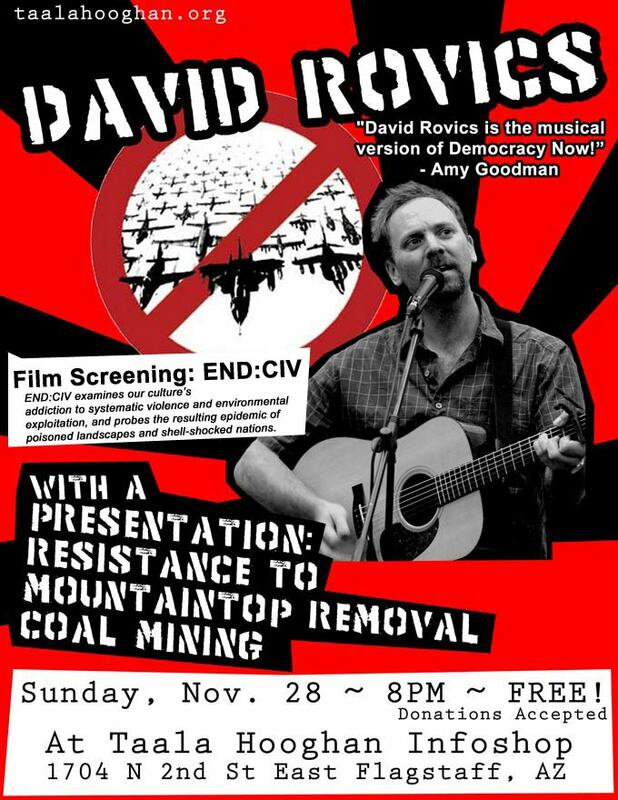 Workshops & discussions to bring down green capitalism and end corporate greenwashing. This introduction and demonstration will guide you through the basics of forging your own knives. 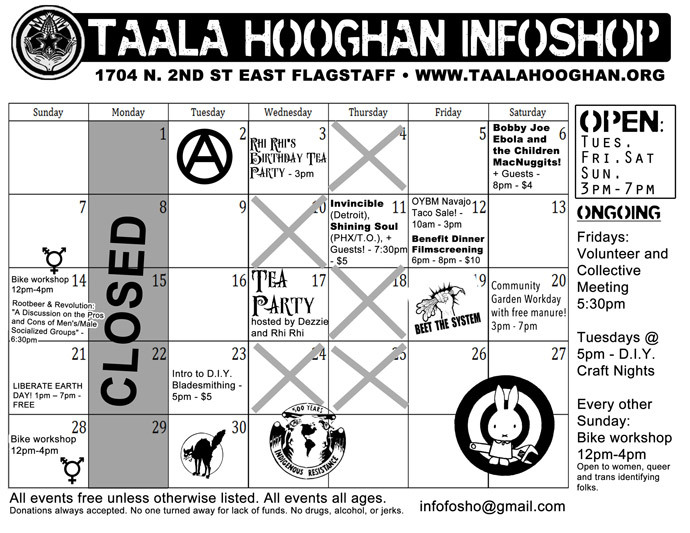 TAALA HOOGHAN INFOSHOP – AUGUST 2011 EVENTS CALENDAR, PEAKS WEEK OF ACTION, & FUNDS NEEDED!